Great Hair days are never easy, but having one can be the difference between the uplifted and inspired version of yourself, vs the demotivated and drained pessimist who cannot stand to go another minute of the day. While amazing hair is almost guaranteed every-time you leave the salon, this is not always true at home, where you are responsible for your own fortune. Genetically speaking, there is some luck involved when it comes to naturally shiny hair, BUT you do have more control over your hair than you think. YES, we know that you might live in a dry and windy climate and that your hair just won’t keep, but these barriers might be easily overcome by just implementing the necessary habits in order to achieve your daily desired results. Everything from colour to heat treating your hair will cause it damage. This tampering will often brittle the hair strands, causing the hair to appear without the vibrant shine we desire. These processes are obviously ones we cannot often avoid. We often want a specific colour hair and we want our hair to be straight. This is not a want we should have to suffer for. It is therefore important that we develop the habits which support our choices to have the hair we want, beautifully. Let me begin by stressing something I hope you would feel is obvious. 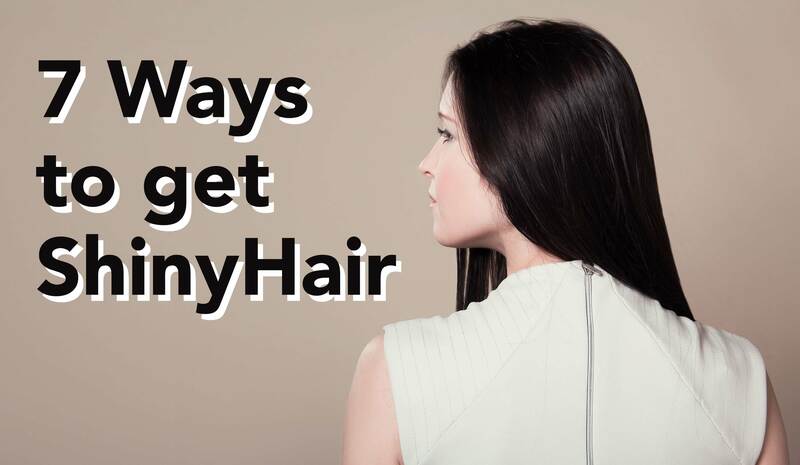 These tips are not going to instantly give you beautifully shiny hair. Like many of our tutorials, we are providing you with the tools and advising on the habit which will aid you creating exceptionally shiny hair that lasts a lifetime. Start by washing your hair. Once washed, formulate a solution of apple cider vinegar and water which can be mixed together to pour over your scalp. Let the solution sit on your scalp for around 10 minutes. It will work by flattening the hairs cuticle which in turn, makes your hair appear shinier. The solution is also rule to lift buildup from your roots which clarifies your roots without drying out your hair. The solution itself is also anti-bacterial and anti-inflammatory which makes it a great solution to dandruff and fungus affected scalps. In addition, if your hair is curly or textured, apple cider vinegar can also help enhance its natural definition, minimising the frizz and unruliness whilst adding a layer of delightfully glossy shine. Did you know simmering sprays actually cause damage to your hair in the ling term? YES they coat your hair and give you an instant boost of shine BUT they roughen the cuticle soft your hair which results in dryness and breakage over time. Many of these shine serums are also filled with alcohols, paragons, sulphates and other toxic ingredients which are bad for your hair and your health overall. Instead, you should stick to natural oils which actually nourish your hair such as Argon oil. Argon oil, like coconut oil and caster oil, will give you the shine you want while also improving the health of your hair, is that amazing or what? This is why we recommend running a small amount of Argon oil through your hair before and after you begin your heat treat and before you style. This will ensure that you achieve an exceptional shine, naturally. Blasting your hair with cold water once you’re done shampooing it helps seal the cuticle and minimises fries. You should finish by then patting down your hair with the towel instead of rubbing it vigorously. Doing this will cause the hair to split and the level of frizz to increase. Remember we want our hair to be as smooth as possible if we’re going to have the best shine. Remember what you are doing when you wash your hair. Your hair follicles are producing their own natural oils which are then dispensed across the scale and into your hair strands. Washing your hair then, too often and at a high temperature, causes your hair to go dry and brittle. It is the hot water which your hair is exposed to, as well as the addition of shampoo with strips your hair of these natural oils. On an unrelated note, sleeping on a Saturn pillowcase will also allow for your hair to retain its shine through the night and into the new day. This is because Saturn material does not roughen the follicles which cause a dulling effect. Bleaching is another dead give-away to not having shiny hair. The bleaching agent causes a chemical burning and drying effect which will leave your hair dull. Beware that excess heat can cause your hair to lose shine. While having an amazing salon blow wave seems like the solution. However to achieve the same success at home, you’re going to have to put in a bit more effort. How you can curb the effects of the hair dryer at home is to actually dry your hair in stages which start with a towel. In addition, pat down your hair instead of rubbing it dry. This will cause less breakage and frizz. Next, apply your heat protecting spray while your hair is still damp and then waiting until your hair is 80% dry before moving onto the following step. Once you have reached 80% dry divide your hair into sections and pin it in place (Layers). Use a paddle brush to then comb through the layers individually. Running over them with the blow dryer which you will need to be moving consistently in order to avoid causing over heating and unnecessary damage to the hair. This will flatten and smoothen out the cuticles, resulting in shinier hair. NOTE: not all hair dryers are built equally and we do recommend one with an ionic setting. AND once you are done drying the hair and it is shiny, blast the hair with cool air in order to seal the cuticle in order to lock in the shine. We recommend a high quality ceramic flat iron, as this will help in achieving the best results. A low heat setting is best for thinner hair, while thick hair requires a high heat setting because it is typically more course. Using a flat iron with wet hair is a big NO! This is why you need to wait until your hair is dry until you iron it. From this point, divide your hair into sections and then straighten it one piece at a time, pinning the rest up and our of the way. Brush your hair before you begin, this will prevent strands from coming out crimped or wavy. Also, don’t forget to spray each section with a heat protect. When straightening your hair, start near the roots and work your way to the ends, running the full length of the hair. Go over the hair with the brush and follow with the iron. Be sure to move in a smooth and continuous motion to ensure that the cuticles will lay flat. This gives the cuticles more surface area to lay flat and reflect more light. By using a hair brush with natural bristles, you are able to then drag your scalps natural oils from the scalp to the ends of your hair which will often be neglected as they are in fact too far from the oil production to read the benefits. Using a natural brush, allows for these oils to be transported to the ends. This process will also stimulate blood flow throughout the scalp which will in-turn promote hair growth. 7.Apply an overnight hair mask. Think of all the time you spend fussing over your skin? Well we’re here to tell you that you should have spent the same amount of time fussing over your hair. Remember that moisture is your hair’s best friend and that your going to want to use a nourishing hair mask in order to ensure your hair does not get dry, and your going to want to use it at least once per week. Instead of using the mask, you might also want to try coconut oil. Coconut oil is naturally good for your hair and will not do it any harm, and simply wash it out in the morning. PS: In addition to everything, shiny beautiful hair starts on the inside. Be sure to eat a healthy and balanced diet which is rich in Keratin. This is a protein which is critical for hair growth and can be found in anchovies, ark green leafy vegetables and nuts. Incorporate all of these habits into your daily regime and you will find that your hair will naturally appear, happier, healthier and shinier all year round. Let us know your favourite by commenting below! Sign-up for my Newsletter to stay up to date with all of the latest and Greatest from me! FREE BEAUTY TIPS EVERY FRIDAY! 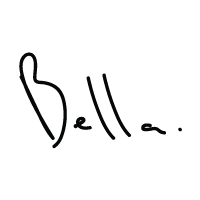 We will only ever send you information relative to Bellaneova and our beauty products. Every week we will do our very best to bring you the latest and greatest in Beauty Tips & Tricks just for you!! !